Many Ukrainians do not know their rights and lack the resources to hire a lawyer. Those who suffer most are vulnerable groups, such as the poor, drug addicts, as well as HIV-positive people. An EU-funded project is providing free legal advice and other relevant services to help them defend their rights. The two year EU-Ukraine project, “Enhancing legal opportunities of vulnerable groups in society to defend their rights,” has been working with a network of Public Advice Centres in various Ukrainian regions: Lugansk, Odessa, Lviv, Ternopil (Chortkiv town), Mykolaiv, Chernihiv, Sumy (Konotop town), Kharkiv, Kherson and Kyiv. With EU funding of €214,000, the project is being run by an association of some 30 human rights organisations called the “Ukrainian Helsinki Human Rights Union” (UHHRU), since September 2012. We met with Arkadiy Bushchenko (A.B. 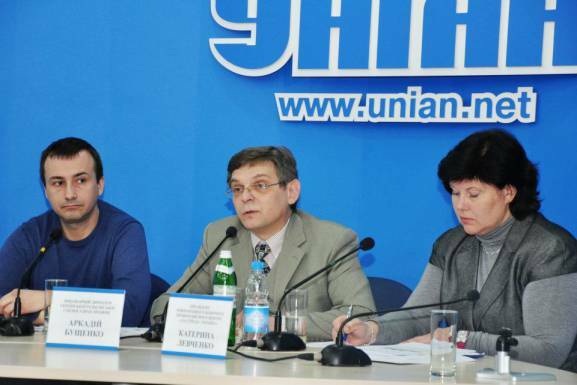 ), UHHRU’s executive director, and Maksym Shcherbatiuk, its program director, to discuss how they are supporting the vulnerable groups, as well as the general challenges posed by the Ukrainian justice system. Your project provides assistance to “vulnerable groups.” Which categories of citizens are included in this definition? A.B. : The concept of “vulnerable groups” includes various categories: minors, people living with HIV, drug addicts, poor and economically unprotected people who are unable to pay for legal services. We also often work with prisoners. How would you describe the typical problems these people come to you with? А.B. : Most of these problems are related to social and economic rights, including incorrect or untimely payment of pensions or salaries. There are also problems related to ownership rights. Many complaints are related to the unfair judicial process, the sluggishness of proceedings or failure to properly implement the court’s rulings. People also bring up problems with the police and poor detention conditions. Recently we have been dealing with violations of the right to peaceful assembly, freedom of expression and access to information. How many people do your centres serve per year? М.S. 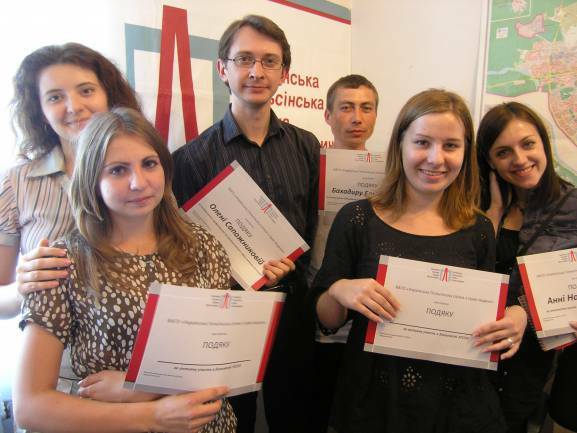 : Annually around 12,000 people receive support from our Public Advice Centres (twelve throughout Ukraine). Mostly, we provide them with relevant information and help them prepare necessary documents. If we see that the case has serious implications for public interest issues or reveals a systemic problem in Ukrainian society, we hire a lawyer and ensure the case has proper legal representation. We provide free legal representation to about 35 or 40 cases per year. We also work with the European Court of Human Rights (ECHR). Some strategic issues are impossible to settle in the national courts; therefore, the only opportunity to show that the problem is systemic is to bring it to the European Court of Human Rights. Ukraine is one of the leaders in the number of lawsuits filed to the European Court of Human Rights. What are the reasons of this situation? А.B. : Most cases brought by Ukrainian citizens before the ECHR are not accepted by the Court: either because the Court doesn’t have the competence to examine them, or because the case is not formulated in compliance with formal criteria. Still, the Court accepts many cases, which is a sign that Ukraine has an inefficient legal system. The legal system is incapable of solving these issues on the national level, which is a symptom of failures in the Ukrainian system of human rights protection. Could you give us some concrete examples of cases you’re dealing with? М.S. : For example, we are currently dealing with a lawsuit filed against the trade union of Ukraine’s “Southern Railway.” The trade union publicly revealed problems present in the National Railway, including violations of labour rights, and unsafe technical conditions of the trains, equipment and infrastructure. As a response, the National Railway filed a lawsuit against the trade union, demanding UAH 100,000 (about €10,000) as compensation for alleged harm to its ‘honour and dignity.’ A court in Kharkiv ruled that the trade union must pay out the sum. Now we are considering defending the trade union in the appeals process. It is important for us to demonstrate that Ukrainian trade unions can protect themselves. А.B. : There are many other cases as well. For example, a Roma camp in Berezniaky (a district in Kyiv) was burnt down and we were approached by the Roma organisation to deal with this case. We are also dealing with the Chumak case (related to access to public information) in the European Court of Human Rights. The so-called Klevzhych case is also important: Mr Klevzhych, ill with tuberculosis, is not allowed to meet his wife. We brought the case to the administrative court arguing that the restriction is illegal. Besides, we are dealing with the Heraymovych case (http://gazeta.ua/articles/scandals-newspaper/465391/2#photos) and other similar cases of torture by the police. We are also dealing with the case of Panych, an incarcerated man whose correspondence was opened and read by the administration of the prison, contrary to new Ukrainian norms. Our lawyer proved that these actions were illegal. Ukraine’s judicial system is the target of strong criticism today. How do you see this situation from within? М.S. : A ruling by the European Court of Human Rights on the case “Volkov vs Ukraine” is symptomatic. The ruling shows how heavily Ukrainian courts depend on the government, on the composition of the Supreme Justice Council, and on specific people. А.B. : On the other side of things, the situation is not as black-and-white as it is often described by politicians. We have a lot of experience working in the courts and I hardly share the pessimistic assessment that it is pointless to use Ukrainian courts. The Ukrainian Helsinki Human Rights Union has won many court cases and there are many judges in Ukraine who make fair decisions. They also know that we can always file a lawsuit with the European Court of Human Rights. Compared to 1995, when I was starting my career as a lawyer, there has been evident progress in the judicial system. This progress is due to the evolution of Ukrainian society itself.